Are you looking to move home? Are you based in Putney and in search of professional and friendly help? Then we could be the best thing you have found today. We specialise in home removals from any part of the local area. We are able to relocate you anywhere at any time at a highly competitive rate. Our prices are affordable as we have many different packages available from student moves, to moving large families and senior citizens. We have specialist staff able to accommodate any type of furniture or goods and transport them safely for you. Our friendly professional services cater for domestic removals to SW15 region as well as the neighbouring areas of SW18 and SW19 postcodes. 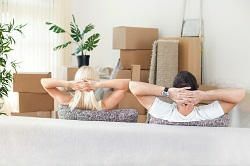 Here at Putney Removals we believe that preparation is vital and so we are happy to plan and do your no personal packing as well as move everything to the new property for you. This way our dedicated team of movers know exactly in which order it is best to load the vehicles as well as unload at the new property. Of course, if you do not wish to do the packing yourself we have a discounted service for this and our house removal planners will be more than happy to discuss this with you, just call us on 020 8746 9619. We offer a 24-hour moving service so if a move out of working hours is better we cater for that option, too. We are also able to give you the very best service, rarely offered by other removal companies. This is our specialist house movers’ service and is available via a dedicated line. To discuss your home removals call 020 8746 9619 now for quote. We aim to offer our services at a highly competitive price and we are waiting for your call. We are an environmentally conscious company and use only the most fuel-efficient vans for moving customers in SW15 and SW18 districts. We will make as few trips as possible to both minimize on fuel cost, reducing the final bill, and reduce the impact of your relocation on the environment. We will do our best to keep our carbon footprint to a minimum. Our quotes are always no obligation required so feel free to ring us and we can guarantee we won’t be beaten on prices. We are so convinced of this that we will even offer you a money back guarantee. All quotes are held for a week after we speak to you giving you the opportunity to think about your options and change the package if required before confirming with us on day seven. We won’t charge anything for supplying you with a quote, and you can request as many quotes as you like to see your different options and combinations of services available for your domestic removals. We will tailor a solution to suit your needs and pocket, so that you get a perfect solution at the most affordable price. Our staff at Putney Removals are standing by now to take your call and arrange the easiest home removals experience you have ever had, leaving you with only the decorating to deal with. We can give you all the help you will need and handle all the aspects of your move in Putney. All you need to do is sit back and relax. Call us now on 020 8746 9619 to book your appointment and discuss your needs in full.